Want salon results every day? You can achieve longer-lasting styles with our professional grade PROluxe range. This expert collection consists of a hair straightener, wand, tong and hair dryer so you can be hairstyle ready whatever the look you’re going for. 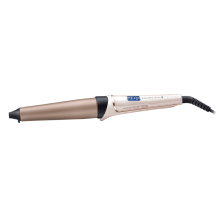 Each styling tool is packed with an intelligent OPTIheat technology giving you beautifully styled hair for longer. 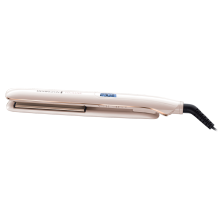 Be hair confident with the PROluxe straightener. The ultimate glide ceramic-coated plates have been proven to give you up to five times smoother results*. The OPTIheat technology will ensure heat is delivered to where it’s needed the most by channelling the heat to the thicker sections of your hair at the top, and diverting from where it can be most damaging. For tousled waves all day long, the PROluxe Curling Wand is your go-to tool. 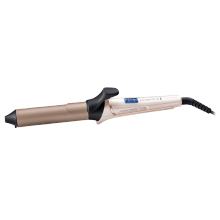 It has 10 temperature settings between 120°C - 210°C with a specially designed PRO+ setting meaning the wand is automatically set at the industry recommended 185°C meaning you can curl your hair more often without any of the heat damage guilt. 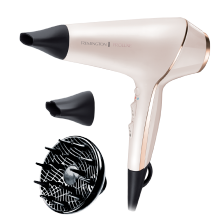 Give yourself a 24 hour salon worthy blow dry with the PROluxe Hairdryer. This dryer has 90% more ions than any of our other dryers meaning it works harder to smooth hair cuticles for a healthy looking and flawless finish. Take your time to create a smooth and frizz-free base before you curl or straighten your way to hair perfection. Achieve superior styled curls that stand the test of time with the PROluxe Tong. The tong’s high performance 32mm barrel has been designed especially for frustration-free styling and is coated with a unique grip-tech covering to avoid any hair slippages and missed ends. 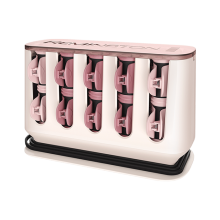 Create beautiful bouncy curls with the PROluxe Heated Rollers. With rollers that heat in just 90 seconds, curls that set in 5 minutes, and two different sizes of roller, you’ve got everything you need to be out the door with a standout look. What’s more, our OPTIheat technology heats both the roller and the clip, giving you the most perfectly formed curl in no time.